FROM THE WEBSITE: Action on Addiction works to free people from addiction, support their families, and educate professionals in the addictions field. The charity has treatment centres throughout England, a specialist family service, an innovative research programme and an expert training centre. The charity has centres in Dorset, London, Merseyside and Wiltshire, but operates nationally. 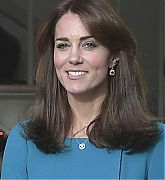 Action on Addiction was one of four charities of which The Duchess became Patron in January 2012. 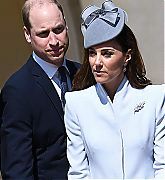 The Duchess’ patronage continues to be pivotal in helping to develop and promote practical solutions which enable more and more people to live their lives free from addiction, and to challenge the stigma that surrounds it. 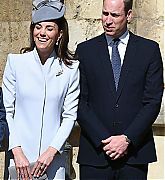 The Duchess has been instrumental in helping Action on Addiction to work in partnership with other like-minded charities so that notions of stigma and shame around addiction and other mental health issues can be challenged. Her visits to the treatment centres shine a light on the life-saving work of the expert staff, as well as providing a wonderful opportunity for the clients to tell their moving stories of living with addiction and their truly inspirational journeys to recovery. 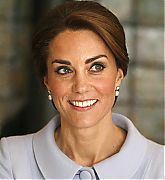 Catherine, Duchess of Cambridge has been Patron since January 2012. 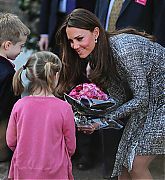 February 19,2013 – The Duchess Of Cambridge Visits Hope House – Catherine, Duchess of Cambridge visits Hope House, an Action on Addiction women’s treatment centre, in London, England where she met with women being helped by the centre, some of them mothers battling addiction problems. Catherine also met with the staff. 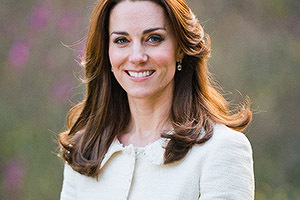 April 23, 2013 – The Duchess Of Cambridge Visits Willows Primary School – Catherine, Duchess of Cambridge makes a visit to The Willows Primary School, Wythenshawe to launch a new school counseling program in Manchester, England called M-PACT, which supports children whose parents are addicted to drugs or alcohol. 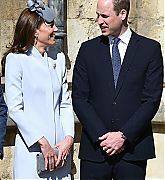 The programme is a partnership between the Royal Foundation, Comic Relief and Kate’s charities Place2Be and Action on Addiction. 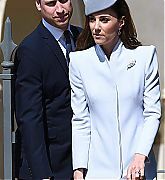 She was accompanied by comedian John Bishop, a Comic Relief ambassador. October 024, 2013 – The Duchess Of Cambridge Attends 100 Women In Hedge Funds Gala Dinner In Aid Of Action On Addiction – Catherine, Duchess of Cambridge attended a gala dinner in aid of Action on Addiction hosted by the 100 Women in Hedge Funds Philanthropic Initiatives in London, England. 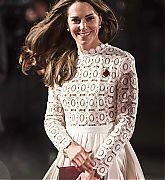 The event was held in the State Apartments at Kensington Palace where Kate awarded Dame Amelia Fawcett, DBE with the 2013 European Industry Leadership Award. 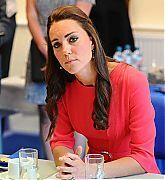 July 01, 2014 – The Duchess Of Cambridge Visits An M-PACT Plus Counselling Programme – Catherine, Duchess of Cambridge visits an M-PACT Plus Counselling programme, a programme that she helped launch at Blessed Sacrament School which offers early support to schoolchildren affected by a parent’s drug or alcohol problem in London, England. The M-PACT Plus program is a joint project of Action on Addiction and Place2Be. 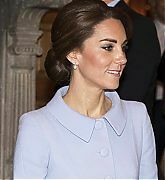 October 23, 2014 – The Duchess Of Cambridge Attends Action On Addiction Dinner – Catherine, Duchess of Cambridge attends an Autumn Gala Evening in Support of Action on Addiction at L’Anima restaurant in London, United Kingdom. 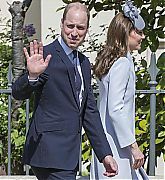 The Duchess enjoyed a pre-dinner reception, met with charity supporters and heard a speech by Action on Addiction Chairman John Lloyd, followed by a performance by comedian Rory Bremner. 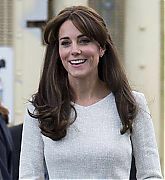 September 25, 2015 – Duchess Of Cambridge Visits Rehabilitation Of Addicted Prisoners Trust At HMP Send – In her first prison visit Catherine, Duchess of Cambridge visited the Rehabilitation of Addicted Prisoners Trust at Her Majesty’s Prison Send in Woking, United Kingdom. 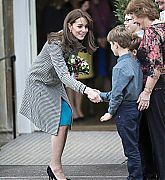 The Duchess of Cambridge met inmates to find out how they are being helped with drug and alcohol addiction. 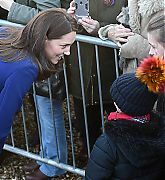 December 10, 2015 – The Duchess Of Cambridge Visits Action On Addiction – Catherine, Duchess of Cambridge makes a visit to the Action on Addiction Training Centre for addiction treatment studies on in Warminster, England. The Duchess met students and teachers, and took part in a tutorial session. Catherine also met with families from the M-Pact program, which is a partnership between Action on Addiction and Place2Be. 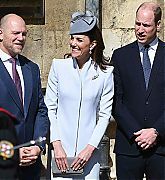 Catherine also joined a ceremony celebrating the graduation of students who studied at the University of Bath Foundation and Honors Degree programs. 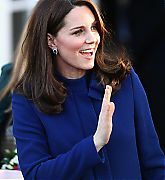 October 11, 2016 – The Duchess Of Cambridge Visits The Netherlands – During her first solo overseas tour Catherine visited the British Ambassador’s Residence in The Hague, where she convened a roundtable discussion on the themes of addiction, intervention, family and mental health. 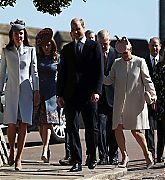 The discussion brought together professionals from the renowned Trimbos Institute in the Netherlands, with two UK charities of which the Duchess is Patron: Anna Freud Centre and Action on Addiction. 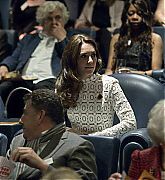 November 03, 2016 – Premiere Of “A Street Cat Named Bob” In Aid Of Action On Addiction – Catherine, Duchess of Cambridge, meets with stars, cast and crew, and representatives from her charity where she sees highlights of the Recovery Street Film Festival in London, United Kingdom. 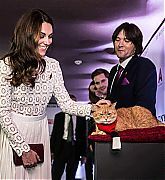 Late in the evening The Duchess walks the red carpet for the Premiere of ‘A Street Cat Named Bob’ at The Curzon Mayfair.